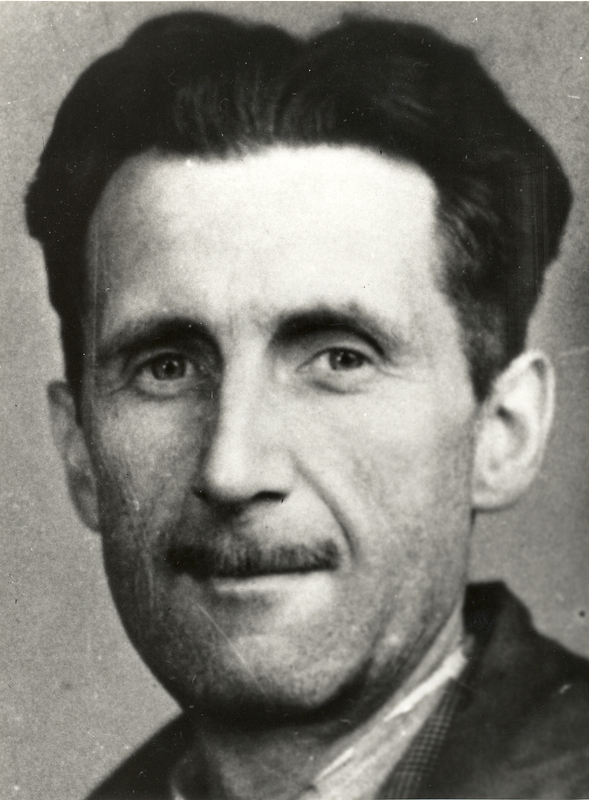 Orwell was born Eric Arthur Blair on 25 June 1903 in eastern India, the son of a British colonial civil servant. He was educated in England and, after he left Eton, joined the Indian Imperial Police in Burma, then a British colony. He resigned in 1927 and decided to become a writer. In 1928, he moved to Paris where lack of success as a writer forced him into a series of menial jobs. He described his experiences in his first book, 'Down and Out in Paris and London', published in 1933. He took the name George Orwell, shortly before its publication. This was followed by his first novel, 'Burmese Days', in 1934. An anarchist in the late 1920s, by the 1930s he had begun to consider himself a socialist. In 1936, he was commissioned to write an account of poverty among unemployed miners in northern England, which resulted in 'The Road to Wigan Pier' (1937). Late in 1936, Orwell travelled to Spain to fight for the Republicans against Franco's Nationalists. He was forced to flee in fear of his life from Soviet-backed communists who were suppressing revolutionary socialist dissenters. The experience turned him into a lifelong anti-Stalinist. In 1945, Orwell's 'Animal Farm' was published. A political fable set in a farmyard but based on Stalin's betrayal of the Russian Revolution, it made Orwell's name and ensured he was financially comfortable for the first time in his life. 'Nineteen Eighty-Four' was published four years later. Set in an imaginary totalitarian future, the book made a deep impression, with its title and many phrases - such as 'Big Brother is watching you', 'newspeak' and 'doublethink' - entering popular use. By now Orwell's health was deteriorating and he died of tuberculosis on 21 January 1950. The creatures outside looked from pig to man, and from man to pig, and from pig to man again; but already it was impossible to say which was which. Freedom is the right to tell people what they do not want to hear. Double think means the power of holding two contradictory beliefs in one's mind simultaneously, and accepting both of them. We sleep safe in our beds because rough men stand ready in the night to visit violence on those who would do us harm. Enlightened people seldom or never possess a sense of responsibility.